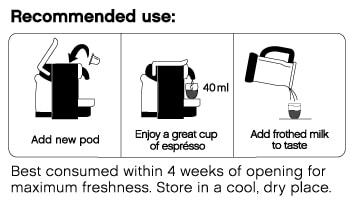 Nespresso®* compatible caramel infusion coffee pods. 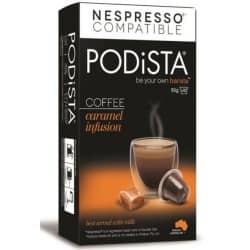 A well-balanced espresso infused with a delicious caramel twist, this pod is the perfect dessert coffee with hints of fine sophisticated pleasure. The caramel is added to the strong espresso flavour, for those of you with a sweeter tooth, we recommend you add a shot of one of our hot chocolate pods to make a caramel infused mocha. These pods are made from recylable BPA free plastic, meaning they can be recyled in the same bin as you use for yoghurt/milk cartons. From March 2019 we are rolling out biodegradable pods across our entire range and expect this product to make the switch by July 2019. More information about our biodegradable pods and the environment. Podista Caramel Infusion Coffee Pods (10 Pack) £2.20 in_stock! Nespresso®* compatible caramel infusion coffee pods. 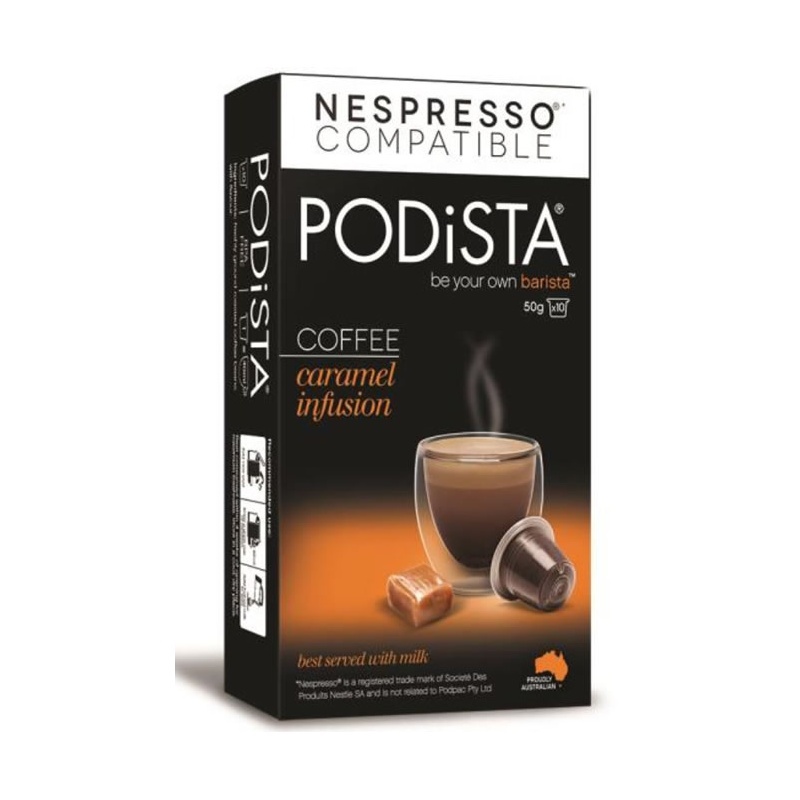 A well-balanced espresso infused with a delicious caramel twist, this pod is the perfect dessert coffee with hints of fine sophisticated pleasure. 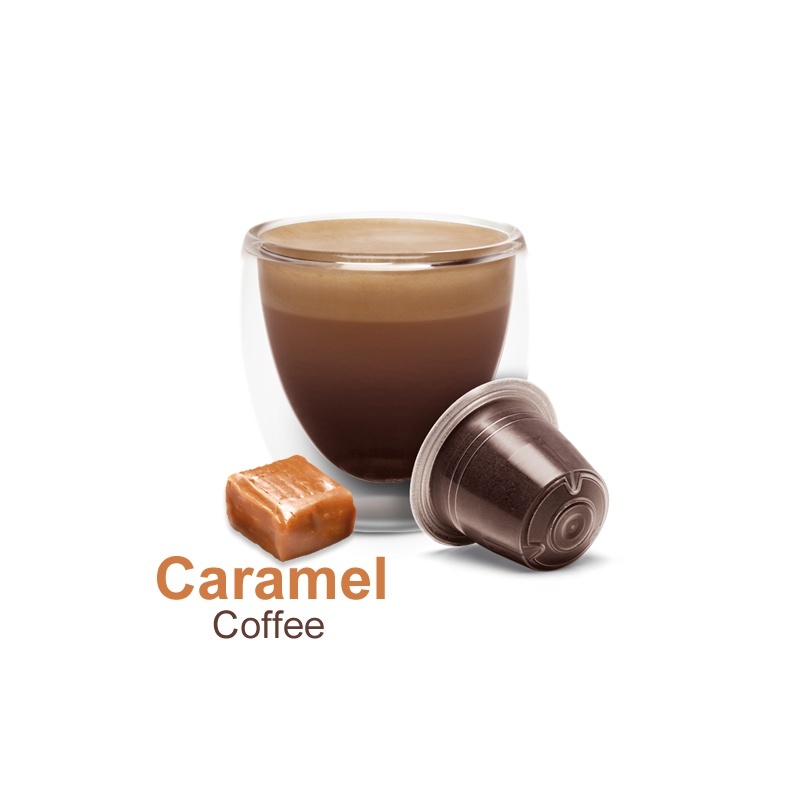 The caramel is added to the strong espresso flavour, for those of you with a sweeter tooth, we recommend you add a shot of one of our hot chocolate pods to make a caramel infused mocha. Disclaimer - *Nespresso® is a registered trade mark of Societe Des Produits Nestle SA and is not related to Mugpods Ltd.